The Curious Incident of the Dog in the Night-Time and a 3 course formule menu Dinner at Brasserie Zédel seems like the perfect way to spend a day in London's West End. There are few things better than dinner and a show (or a show and dinner) in London’s West End, and now with our incredible offer, you can get a 3 course fixed dinner with your theatre tickets! Decide whether you will start or end your night out with dinner at Brasserie Zédel, the incredible Parisian bistro nestled in the heart of Piccadilly. The Piccadilly Theatre, where you will be seeing the critically acclaimed The Curious Incident of the Dog in the Night-Time, is located just across the street from the theatre which means you'll be able to get from dinner to the show (or the from the show to dinner) in a matter of minutes. Brasserie Zédel is tucked around a corner in the middle of Piccadilly, this beautiful bistro is literally within throwing distance of the Piccadilly Theatre. This elegant French bistro offers a range of classic French cuisine. The close proximity to the theatre ensures that you’ll have plenty of time to enjoy your meal whether you decide to have it before or after the show. 3 course formule menu dinner with theatre tickets! 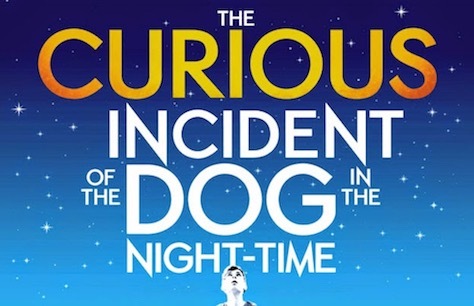 The Curious Incident of the Dog in the Night-Time follows the investigative adventures of Christopher. Christopher is not your typical young man, he likes maths more than music and doesn’t like to go anywhere new but he is determined to find out who stabbed his neighbour’s dog with a garden fork. Mixing multimedia, sounds, and staging to bring the reality of Christopher’s world to the stage. This stunning 7 time Olivier Award winning show is not to be missed. The restaurant will contact you via email or phone regarding your table reservation to confirm your choice of time.